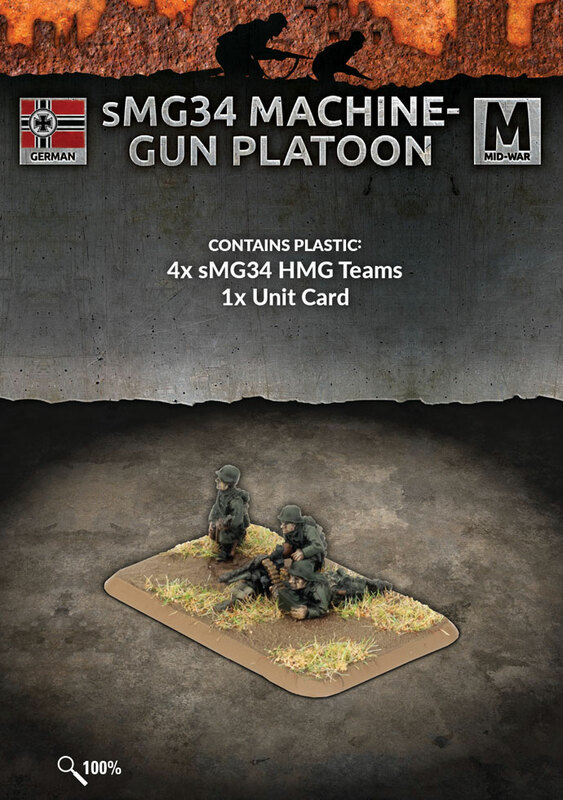 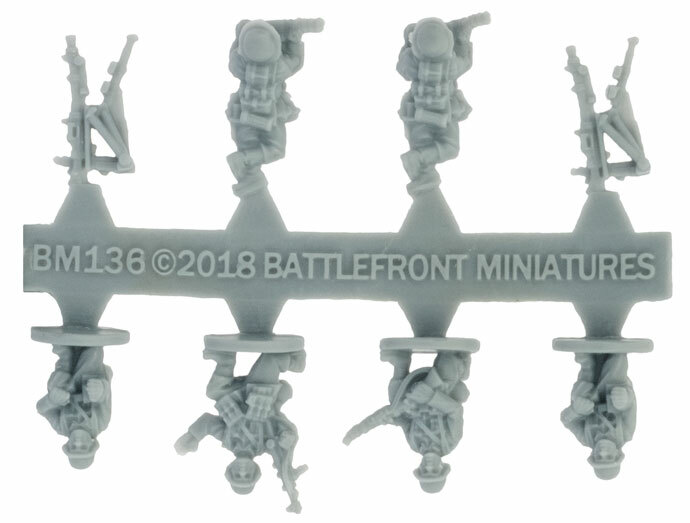 includes four sMG HMG Teams and one Unit card. 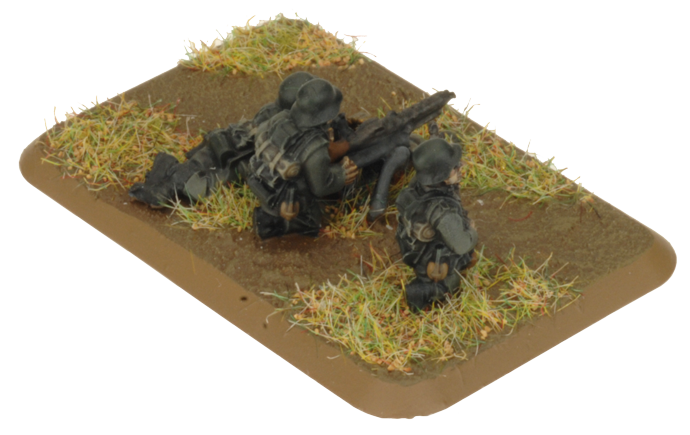 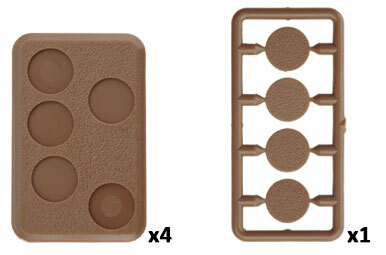 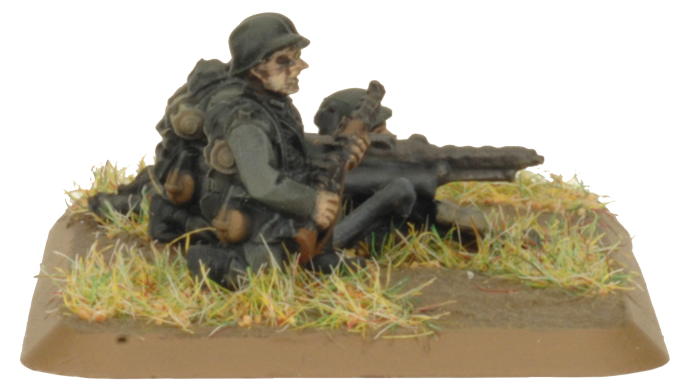 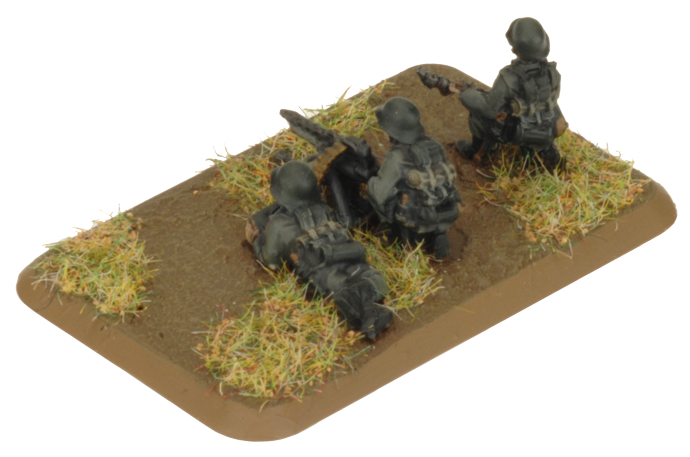 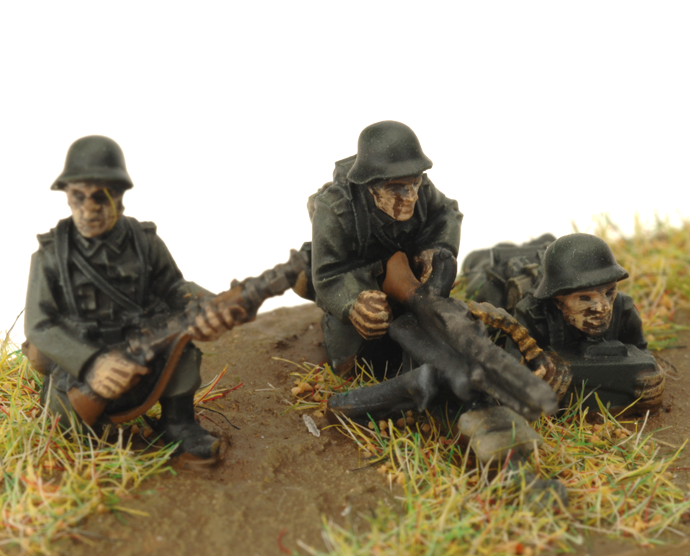 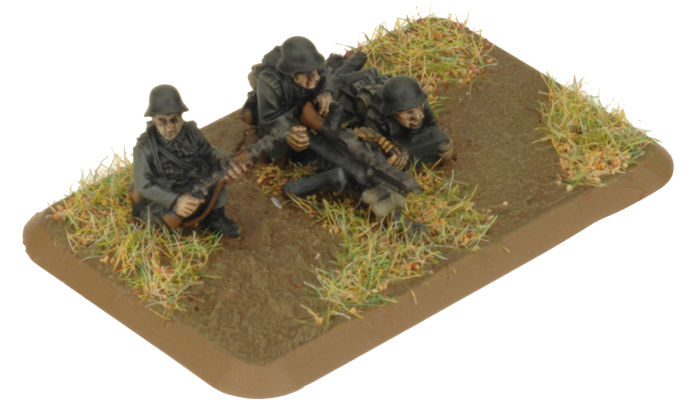 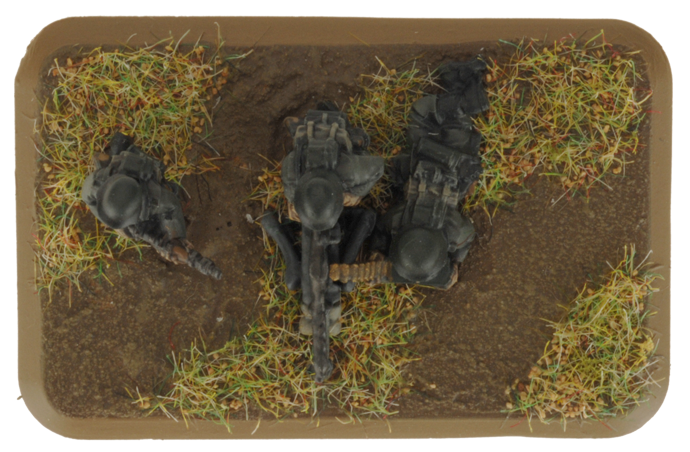 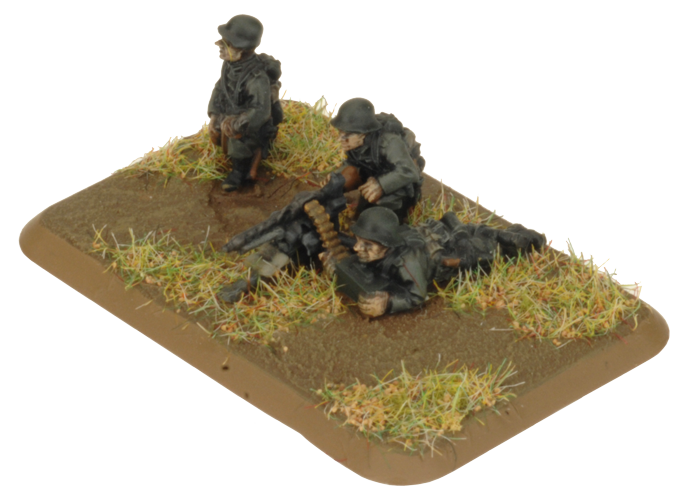 The heavy machine-guns of the MG platoon are essential for setting up a base of fire to support an infantry assault or destroy a Soviet human wave attack. 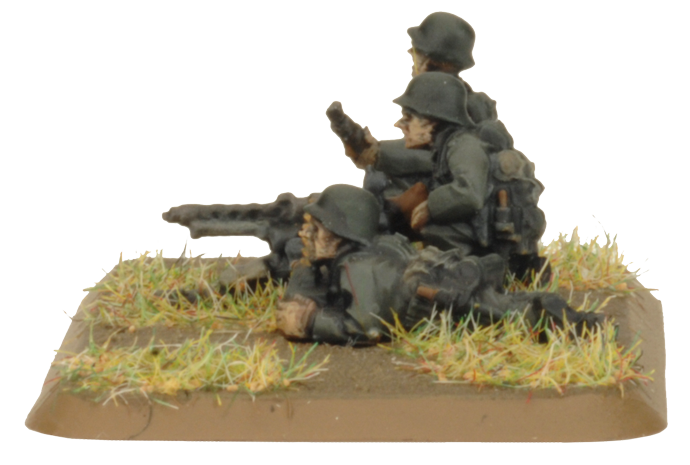 Mounted on a tripod for long-range accuracy and with plenty of ammunition, it is an excellent defensive weapon. 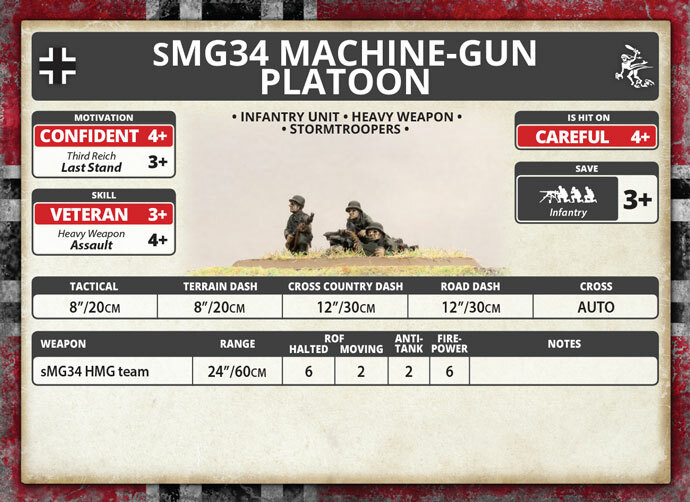 The company's heavy machineguns are allocated to the most exposed platoons.